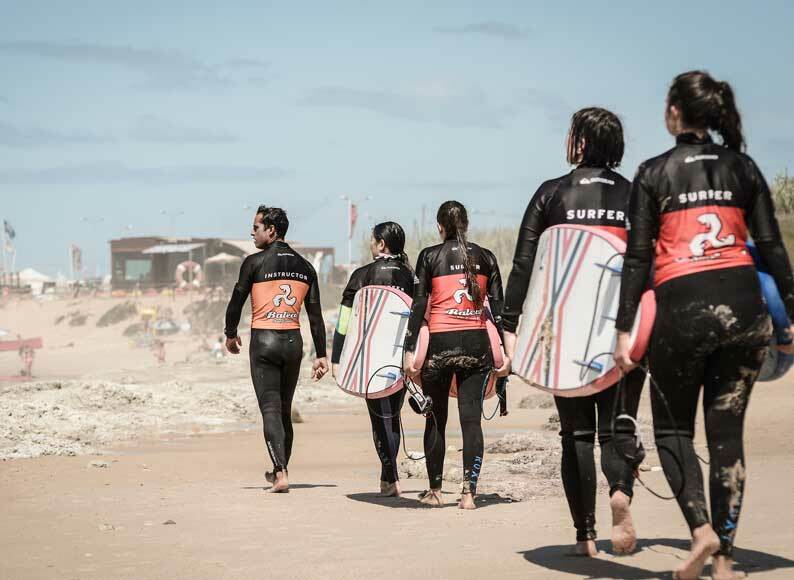 The Surf School is located at Praia do Baleal Campismo next to Baleal on the Surf Spot known as Cantinho da Baía at the north part of the Peniche Peninsula. 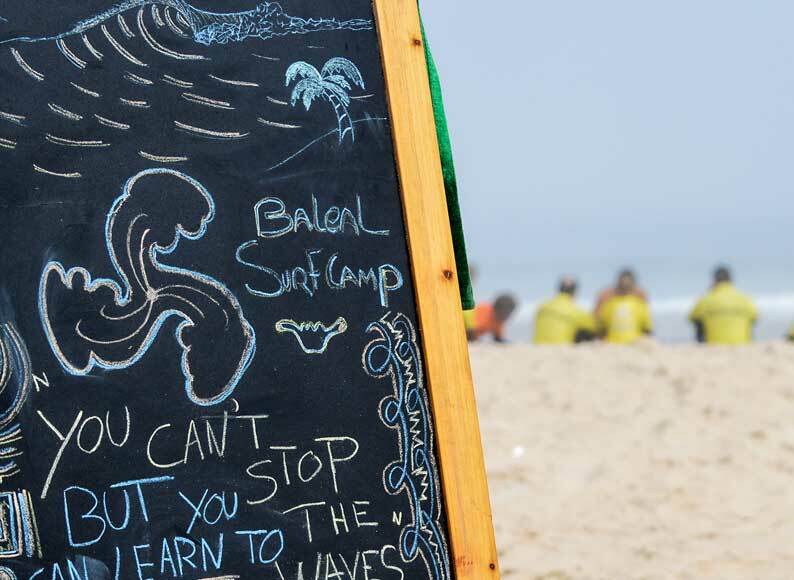 Our Surf School operates autonomously with its own body of teachers and is independent from the Surf Camp. Each surf class takes a maximum of 5 students to 1 instructor. In winter, two fixed schedules are available – courses are scheduled from 10:00 to 12:00 and from 14:00 to 16:00. 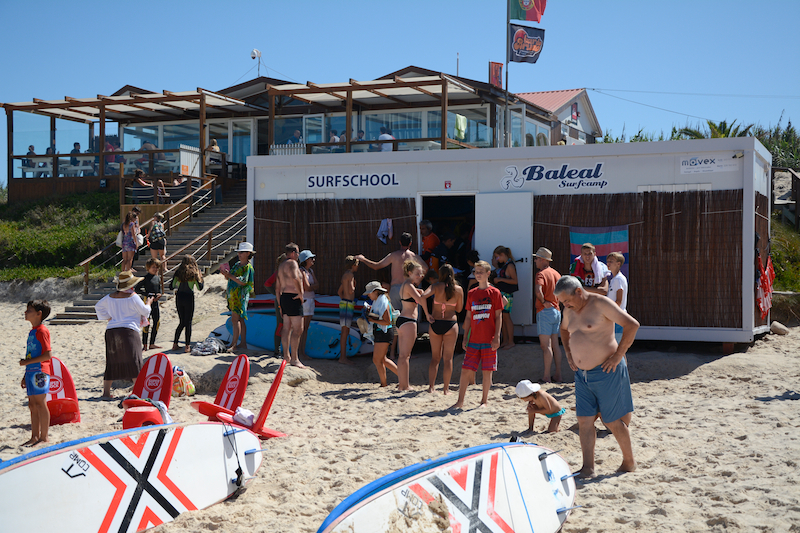 From June up to the end of September, our Baleal Surfschool get’s a special authorization to set a container directly on the beach, where we store all the surf equipment and deal with the several groups of students in a organized and professional way. During this period, courses are scheduled at three different times of the day: First class is scheduled for 09:30, second class for 12:00 (children only) and finally the last class is scheduled for 15:00. We offer three surf courses designed to cater for different levels of skill, children are welcome. Classes at 09:30, 12:00 (children only) and 15:00.